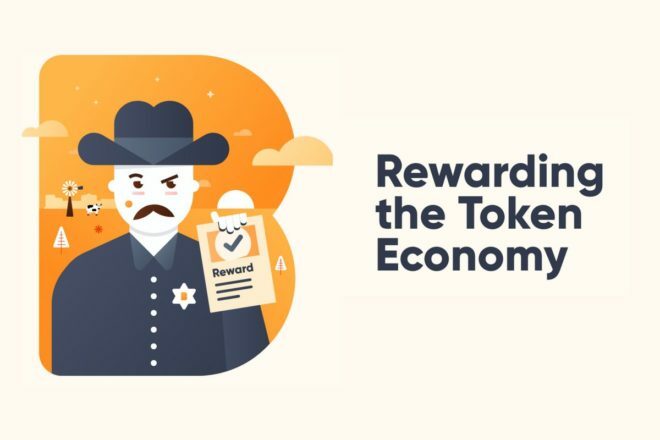 If you’re looking to get into the Wild Wild West of online bounty hunting to score some extra loot, look no further than decentralized bounty hunting platform – Bounty0x. Simple Bounty – Simple bounties are typically quantitative tasks which can be automatically verified by API’s and algorithms. Sheriff Bounty – Sheriff bounties typically fall in the realm of qualitative tasks which require the approval of a bounty sheriff. Super Bounty – Super bounties are highly technical or subjective bounties which are reviewed by the hosts themselves. Bounty Hunters: Parties completing the posed tasks in exchange for rewards (rewards are often issued in the host’s native currency). Bounty Sheriffs: Parties reviewing bounty hunter performance and completion, acting as a QA of sorts. After using the platform for just over three months, here are a few observations. As Bounty0x is still in its relative infancy, there have yet to be many high profile blockchain projects posting bounties on the platform. Due to the relative obscurity of some of the projects, sometimes it feels like you’re sifting through tons of gravel and sand just to strike gold. However, that’s not to say that there aren’t some worthwhile bounties on the platform. Bounty0x has issued bounties themselves, from a PR bounty to various Twitter bounties, all of Bounty0x’s posted bounties have paid out quite well and are some of the most lucrative bounties on the site. Additionally, bounties have been posted by established prediction market platform Augur and upcoming ICO and blockchain “cleanup project” CoinJanitor – two projects boasting relative legitimacy and well-deserved praise in the crypto-sphere. When using Bounty0x, we at BlockchainSEO recommend you treat it similar to an airdrop at first – although every bounty may seem like easy money and worthwhile, most of the projects posting bounties on the platform will never materialize, therefore, bust out your magnifying glass when sifting through the gravel and sand. One point worth noting is that the project is still in its alpha version and relative infancy, therefore we recognize as the platform progresses, larger and more established projects may start using this platform to fix bugs, write articles, gain followers, and improve UI. Of all projects we’ve followed in the current blockchain ecosystem, Bounty0x has an extremely transparent and active team – a rarity in today’s opaque and potentially dubious management styles. Bounty0x members, ranging from their community manager to CEO himself, are all active on their Telegram, Reddit, and Medium channels, issuing weekly updates and frequently answering questions and concerns about the platform. With Bounty0x’s active management, it’s no surprise the platform now boasts over 20,000 active hunters and over USD $6 million in available bounties. Minimal transparency is not conducive to growth in the blockchain space, and Bounty0x is truly a diamond in the rough when it comes to customer support and interaction. Not to mention, they have just hired several bounty sheriffs to start reviewing and distributing bounties more efficiently, so expect big things from Bounty this 2018. Having participated in quite a few bounties and recommended others to the platform, it was a bit disappointing that some bounty approvals and distributions were taking over one month, but after their recent hiring of more staff and bounty sheriffs, things seem to be picking up. After all, bounty hunters are not completing tasks with the hope of getting paid three months down the line, so Bounty0x still has several kinks they need to iron out to ensure a smooth and efficient approval and distribution process. Once the platform starts operating like a well-oiled machine, bounty hunters will have greater incentive to start actively using the platform, contributing to a healthy and robust bounty hunting ecosystem. If you’re looking for an engaging and functional project with one of the most active teams in all of blockchain, we highly recommend you check out Bounty0x and give it a try for yourself – if anything, it’s a fun platform to use while watching TV if you’re looking to earn a couple of extra bucks. Let us know what you think of Bounty0x and any other projects you’d like us to write about or review. To read up more on Bounty0x, you can check out their website here, and Twitter, Blog, and Telegram. If you are a small-to-medium sized law firm or blockchain company and looking to ramp up your SEO, reach out today to receive a free website diagnosis and quote.